This month, Noah Salomon of the University of Chicago Divinity School analyzes the interaction of British colonial authorities with Islam in the Sudan. Studies of missionization during colonial periods have generally limited their focus to the importation of foreign religious systems into local cultures. Much less attention has been paid to the ways in which colonial administrations have sought to reform local religions themselves. Drawing off theoretical contributions made by scholars working in South Asian studies, my essay will explore the ways in which such religious reform and control were asserted by the British administration in the Anglo-Egyptian Sudan from the fall of Khartoum in 1898 to the beginning of the First World War. Through an exploration of historical records from the British administration in Sudan, I will discuss how the British became patrons and advocates of a certain type of Sunni “orthodoxy,” which they hoped would curb the influence of messianic and Sufi movements among the local population. It was the Sufi orders that had been the soil for the rise of the Sudanese mahdi, who overthrew the previous colonial overlords of Sudan, the Turco-Egyptian regime, beginning in 1881. The British felt that these movements might pose an equal threat to their own colonial project, and therefore engaged in a campaign to reform Islam among the Sudanese away from Sufism and toward a scholastic model that served their religious sensibilities as much as their political goals. Through exploring the types of religious reform that the British administration instigated in Sudan, I will attempt to complicate our understandings of the avowed “secularizing” goals of the colonial enterprise as well as take a closer look at the interaction between movements of Islamic reform and the colonial contexts in which they arose. hile the following essay concerns British colonial practice in a very specific period of time, I truly hope that it will be of interest to the student of other historical eras and imperial endeavors. In particular, it is my hope that this essay might spark the reader to think critically about America's enagements with religion in the Muslim countries it now occupies, so that we are not doomed to repeat the mistakes of those who have gone before us. It is interesting to note that colonial powers are commonly depicted as bringing their own religious systems to their subject peoples. Countless studies abound of the Spanish and British colonists bringing Christianity to the lands they conquered. Indeed, studies of colonial interaction with local religions have tended to limit their focus to the importation of European religious systems into non-European local cultures through processes of missionization. Much less attention has been paid to the ways in which colonial encounters have reformed local religions themselves. Though some writing on this phenomenon has appeared concerning the British interaction with Hinduism, in the works of scholars such as Peter van der Veer (2001) and Lata Mani (1998), much less of this critical gaze has been placed on colonial reforms of Islam. Further, little attention has been given to the way in which foreign colonial officials have become actively involved, wittingly or unwittingly, in projects of religious reform in the countries in which they are serving. In the desire to establish a stable state structure, colonial authorities often prop up certain religious organizations that they feel are compatible with their goals, while marginalizing others. Further, though colonial powers such as the British often proclaim non-interference in religious affairs, through enacting policies such as ceding jurisdiction over personal status matters to religious courts, it is important to explore the ways in which the very boundaries that these governments draw between what is religious and what is secular affect the local religious communities with which they come into contact. Is the colonial project of governmental reform necessarily also a project of religious reform? The following essay will attempt to answer this question by looking at the case of the Sudan from its conquest by Lord Kitchener's Anglo-Egyptian forces in 1898 until the beginning of World War One.3 In these first years of the Anglo-Egyptian Condominium,4 British officials, who may have come to the Sudan expecting merely to administer the institutions of secular governance (such as criminal courts, tax bureaus, land development agencies, etc. ), found themselves instead embroiled in the work of encouraging and enabling a certain kind of Islamic reform. Citing worries that any Christian missionary activities would be perceived as a challenge to Islam and thus could stir the discontent of the Muslim public, Lord Cromer, the effective ruler of Egypt from 1883 to 1907 and the direct superior to the British Governor of the Sudan, told British Sudanese officials in 1903 that, “the time is still distant when mission work can be permitted amongst the Moslem population of the Sudan.”5 Nevertheless, though Christian mission work was deemed impossible (at least for the time being), this did not mean that the British were unconcerned with bringing new religious forms to the Muslim areas. The last colonial power in the Sudan before the British, the Turco-Egyptian regime, had been overthrown by a messianic religious leader who arose out of a Sufi order to proclaim himself mahdi (or “the divinely guided one”) and to establish a theocratic government in Sudan, which historians refer to as the mahdiyya.6 Due to this history, the British, fearing a repeat of such an episode, were greatly preoccupied with governing religion. Regulating both neo-Mahdist and Sufi organizations became a preoccupation of the British leadership and they undertook this effort in many different ways. The British tried to marginalize the influence of these groups over the Sudanese public through direct persecution as well as by more indirect means, such as trying to supplant their influence through importing and giving patronage to a class of Egyptian religious scholars and officials (Warburg 1971: 95-106; Voll 1971).7 It is interesting to observe that all of this interest in religion came under the mandate of reforming the Sudanese state from an Islamic theocracy into a secular republic. In the fields of law, government, and commerce the British administration aimed to replace a theological order with one based on the British secular liberal tradition of common law, representative government, and capitalism.8 In this secular order, the role of religion was greatly modified from its place under the state established by the Mahdi, the Mahdiya. The following paper will explore the way in which the project of establishing a secular form of government in the Sudan carried with it a very clear idea of what an Islam looked like which could coexist with this style of government. Throughout the early years of their administration, the British mobilized the category of religion, and in particular Islam, as a central strategy of rule. Such practices greatly complicate the purported secularizing goals of colonial governance, which claim to cede the private sphere to religion and only to be concerned with the rational mechanisms of statecraft. Through exploring the ways in which the British engaged with Islam, I will demonstrate that the colonial project in the Sudan, at least in its early years, was as much about reforming religion as it was about reforming the state. Even before the British troops crossed the Egyptian border into Sudan the type of Islam that the Sudanese practiced was at the center of interest at the highest levels of the administration. Before commencing their bold conquest of the Sudanese capital in September of 1898, the British administration had already begun a public relations campaign that would pose the conquest of the Mahdiya not only in the name of compassion towards the Sudanese people but also in defense of what the British understood to be their true and orthodox religion. There was a certain sort of moral imperative seen in overthrowing a regime that was considered anathema to Victorian ideas of humanity and civilization (Boddy 2003). For example, slavery was widespread under the Mahdiya and the government felt great pressure from the Anti-Slavery Society and other Christian organizations to put a stop to it (Warburg 1971: 170-178). Indeed, the British public was constantly fed on a diet of carefully crafted propaganda concerning the abuses of the Mahdist regime. The tribes and inhabitants…welcomed the expected Mahdi who was to set them free and enable them to become once more the rightful owners of their lands. For about a year, at most, the imposture flourished, and the great majority of the people believed that the true Mahdi had at length appeared. But as time went on they saw their spiritual ruler steeped in the wildest debauchery, and blindly led by his chief khalifa, Abdullah Taashi, who, with his all-powerful Baggara, ruled the land with an iron hand…Rapine, bloodshed and horrors filled the land (Wingate 1968 : 466). While the British posed their conquest in terms of freeing the Sudanese from a violent tyrant, it is crucial to note that it was not simply abuses of power that Wingate pointed to as the justification for British military action against the Mahdiya. Wingate's book also focused on the abuse of religion undertaken by the Mahdist regime. Wingate defined Mahdism not only as the revolt against “the recognised Government authority in the Sudan,” but more importantly as the “revolt against the orthodox Moslem religion” (Wingate 1968 : xxi). It is interesting to note that when the British entered the Sudan attempting to marginalize both Mahdist and Sufi orders they did not claim that such practices were simply incorrect in and of themselves, debased and misguided forms of religion in comparison with the Christian tradition. Rather the British argued that such practices were incorrect because they failed to live up to the norms of their own tradition, to what the British understood as authentic and orthodox Islam.11 Though Cromer (and presumably others in the administration) saw Islam as “a religion which clashes with private and public morality,”12 the British did not take the tactic of trying to eliminate this faith. Rather the British tried to establish a clear notion of what was orthodox Islam and how Sudanese Islam was distant from that. intervention into that tradition which tries to uphold and enforce a specific religious interpretation. In this sense though the Mahdiya arose out of Sufism—what the British might frame as popular or heterodox religiosity—it too constituted a form of orthodoxy, for it had the power to regulate religion, and imposed broad reforms on Islam as it was practiced in Sudan (O'Fahey 1999). That a movement with its roots in Sufism was able to mushroom into a state structure is indicative of Brian Turner's observation that Sufi leaders do not gain their status simply because of their inherent charisma or their role as an intermediary between man and God, but because they have a specific social function (Turner1978: 67).13 Yet, for the British, orthodoxy referred to the Islam propagated by the Ottomans (through their imposition of Hanafi Shari'a courts in the Sudan, for example) as well as the Islam that was upheld in the Sudan during the Turco-Egyptian period through the importation of scholars from al-Azhar University.14 It was this orthodoxy that the Mahdists rose against, but we must be careful to recognize that in its place the Mahdists set up another kind of orthodoxy, though with a very different theological content. On the fall of the Mahdiya, the Sufi orders, which had been suspended by the Mahdi, arose again, and great religious pluralism emerged, creating a vacuum where no single orthodox body to regulate religious truth existed any longer (Fluehr-Lobban 1987: 25; O'Fahey 1999). Due to the recent history of the Sudan, the British recognized the revolutionary fervor that could emerge from these religious groups, not fully under state control, and thus they set about trying to create a new unified orthodoxy. In order to do this the British had to establish a clear idea of precisely what was orthodox and what was heterodox. There were many ways in which the British tried to instill a particular notion of Islamic orthodoxy in the Sudan. We will discuss in detail below the manner in which this was undertaken through the establishment of various new religious institutions in Sudan. But in order for us to get an idea of precisely what the British understood as authentic and orthodox Islam, it will be helpful to examine how they defined it. In 1905 Sudan began to make the transition from full military rule to a civilian administration (Warburg 1971: 81-4). The colonial strategy was not simple military occupation, but rather the reformation of Sudanese state and civil society to meet the requirements of modern governance. Secular state institutions (courts, tax bureaus, and eventually, a parliament) had to be implanted to replace the theocracy of the Mahdiya.15 To do this, the British reasoned, they needed to encourage their best and brightest to go to the Sudan and to help run an enlightened administration. Thus training courses were established at Oxford, Cambridge, and other top universities to give students a crash-course in the tools they would need to know in order to function in the Sudan. While language was the primary focus of the instruction, Wingate encouraged some training in religion. In order to help us to answer what the British understood as “orthodox Islam” it will be helpful to explore exactly what these students were being taught. A new-comer to the Sudan, having read some standard text-book on Islam, tends to take for granted that the religion of the people is that of the Qur'an and the law. The mosque is usually the most prominent object he sees and this makes him fail to understand that this is not the only, nor the most important, centre and symbol of their religion. A far more significant symbol of faith scattered about the Sudan in greater profusion than the mosque is the whitewashed domed tomb of a saint. The one may be regarded as a system and the other of a living faith (Trimingham 1965: 105). While I would complicate Trimingham's strict dichotomy between the Islam of the “Qur'an and the law” and the Sufi Islam he refers to when he mentions the “whitewashed tomb of a saint,”19 Trimingham does recognize the point that Islam in the Sudan includes much besides the Qur'an and Shari'a. Islam in the Sudan, excluding the time of the Mahdist interruption, consisted of a variety of Sufi orders, that, while all having clear internal hierarchy, had no uniform hierarchy that was above them all.20 Muslims circled around individual leaders who had either inherited their status as members of what P.M. Holt refers to as “Holy Families” (Holt 1967) or who had gone through apprenticeship under a recognized Sufi leader. One of the main ceremonies of these groups is the dhikr (“rememberance”) ritual, a group performance in which a litany is repeated in song or chant in order to adduce a mystical state of consciousness and closeness to God (Gardet 2001). Further, in the Sufi orders veneration is commonly given to a deceased leader in one of the tariqas, known as a wali, a holy man who contains and is able to bestow God's blessings both in life and death (“baraka”). Over and against this Sufi tradition, the British tried to establish a form of Islam with a leadership of clerics, prayer that occurs in mosques, and a very different relationship to the Islamic scripture than was practiced in the Sufi orders. In exploring both their fears of Sufism and their desires for a new Islamic order we will come to a clearer understanding of precisely why the British preferred such a version of the Islamic tradition over that of Sufism. When the British arrived in the Sudan, they immediately took on administrative roles all across the country. As mudirs (provincial governors), inspectors, police officers and military generals, British men found themselves in the thick of village life, from very early on in the Condominium. If we are to understand some of the reasons behind the British attempt to install an Islamic orthodoxy in the Sudan (which I will describe in detail below) it is important that we also grasp some of the more visceral impressions of the popular Islam that they were trying to replace. Sudanese messianic and Sufi Islam were seen not merely as threats to British rule in the Sudan, but also as deeply offensive to the Victorian sensibilities of British officials and what was seen to be the proper relationship between the colonizer and colonized (Boddy 2003). When British officials came into contact with this form of Islam, so different from the Islam they had read about and so radically other – especially from the Christian faiths of their home – the reaction was often extreme. C.P. Browne, governor of Berber province in the 1920's and a member of the Sudan Political Service from 1902 onwards, jotted down some stories about his time in the Sudan, during his early years there in the Blue Nile and Sennar provinces.21 Writing in the first person, Browne describes a Sufi dhikr that he observes. “The ceremony, called ‘zikr', is, I believe, unorthodox, but in this country it is the favored means of exciting joint religious enthusiasm; an evil and debased sight, with the admixture of cruelty and sensuality so often found in emotional religion, whereby a bestial, dehumanized excitement confounds itself with absorption in the deity, with that surrendering of the soul that gives its name to Islam.” It is interesting to note that Browne begins by representing the dhikr using the paradigm of heterodoxy that we recall from our discussion of British officials' view of Mahdism. Thus he attempts to show to his presumed readers that the Islam of the Sudan was no ordinary (and ordered) Sunni tradition, but rather represented “evil and debased” heresy. It is this “emotional” form of religion that brings such feelings of horror to the young British official. In his mind, Islam, which he understands as a religion of surrender, becomes particularly dangerous when the Muslim submits to what Browne saw as a wild emotional order. It is very important, as we delimit the more official reasons for the British imposition of orthodoxy in the following pages, that we do not forget the very real motivation of fear. Though British officials had read about the quiet and reserved Islam of the mosque, they most likely knew very little about the dhikr and thus it must have seemed to them strange and unpredictable. As British officials like Browne were ruling over great masses of Sudanese people, unpredictability seemed especially threatening to their rule. This view, coupled with the memory of the Mahdiya (which we must recall sprang from Sufi orders), caused the British officials to see the Sufi orders as particularly dangerous. Browne continues his narrative, describing the local sheikh of an unnamed tribe. He writes of him, “Meanwhile he rules his tribe and grows rich, while from his village far and wide are scattered the seeds of fanaticism, of treacherous plotting, of hatred that will one day fan a blaze. But the future does not trouble him.”22 When he sees an old man in the village whose “features [are] lightened only with obscure dislike and distrust,” he realizes “the difficulty of any truce with Islam, the Islam that is, and to all appearance that is to be.”23 Whether or not these stories happened is of less importance to us than the view of Sufi Islam that they belie. For C.P Browne, Sufism is naturally violent and fanatical, filled with hatred. Sheikhs are only con men, hostile not only to British rule but to their own people as well. Before we turn to an examination of the way in which the British attempted to reform Sudanese Islam, it will be helpful to outline the historical context in which we may understand the Islam that the British confronted. It is important to recognize that the British did not come in and reform a religion that had been sitting peacefully and happily unchanged for centuries. Rather, Sudanese Islam had been in a constant state of flux from the time of its appearance in Sudan through the Turco-Egyptian and Mahdist reforms. Though Islam spread gradually into Sudan from very early in the Middle Ages, the full Islamicization of Northern Sudan did not occur until the 16th and 17th centuries under the Funj Dynasty at Sennar and the Fur Dynasty in the Western Sudan (Trimingham 1965: 81-91). Islam was brought to the Sudan in this period by religious teachers from the Hejaz and Egypt as well as by West Africans crossing the Sudan to make the hajj pilgrimage to Mecca. It is during the Funj period when these figures (known to the Sudanese as the fakis28 ) spread teachings such as the science of fiqh [jurisprudence], tajwid [Qu'ranic recitation], as well as the rites of Sufi orders (Trimingham: 115-6). The Islamicization of Sudan continued throughout the 18th and early 19th centuries with the nativization of fakis as well as the founding of new Sufi orders by Sudanese who had returned to Sudan from periods of learning in the Hejaz (Daly 1986: 121-2). were imported to run these courts and in doing so they displaced some of the fuqara's functions. Eminent historian of the Sudan P.M. Holt writes, “Under the Turco-Egyptian regime, the status of the fakis as a whole declined. Although the authorities were generally conciliatory towards them and subsidized their khalwas [religious schools], the establishment of an official hierarchy of ‘ulama diminished both their prestige and their political functions" (Holt 1967: 8-9). Further, a line of communication was established between al-Azhar university in Cairo and the Sudan and many students traveled to Egypt for study. During the Turco-Egyptian period three Sudanese riwaqs [lodges] for students were founded at Azhar (Warburg 1978: 9; Trimingham 1965: 116). Finally, perhaps the most important innovation of the Turco-Egyptian period was the adoption of the Ottoman tanzimat reforms in 1850. These reforms adopted European secular legal codes to deal with all commercial and criminal law while restricting Islamic law's jurisdiction to family and personal status matters. In order to conform with these changes an entire secular apparatus of courts were set up next to the hanafi shari'a courts (Fluehr-Lobban 1987: 30). Holt argues that it was the Turco-Egyptian regimes' marginalization of the traditional leadership of the Sudan that, at least in part, led to the mahdist revolt. He writes of the Mahdist revolution, “it was the revolt of the fakis and very appropriately its leader was a holy man who had undergone the traditional education of the Sudan (Holt 1967: 10).” The fakis greatly resented the imposition of new Islamic leaders under the Turco-Egyptian regime, and the majority, at least at the outset, supported the Mahdi (Daly 1986: 122). Yet, it is important not to characterize the Mahdiya as a return to the “traditional” Islamic order in the Sudan. The rise of the Mahdi introduced an entirely new system of Islamic rule in Sudan. During this period, the Azhar ‘ulama, whom the Mahdi referred to as “‘ulama al-su'” (the evil ‘ulama), nearly vanished. Many of them fled to Egypt, while others fell in battle and still others converted to the Mahdist creed (Warburg 1978: 11). The Mahdi was at odds not only with the representatives of Turco-Egyptian Islamic institutions, but also with many Sufi groups. 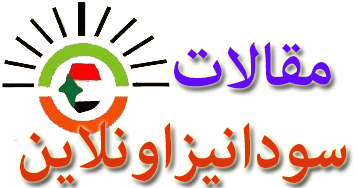 Trimingham writes of the period, “Devotion to the Mahdi naturally dissolved all tribal and religious allegiances. The dervish orders were abolished because loyalty to the sheikh conflicted with loyalty to him. The four madhhabs [schools of Islamic jurisprudence] also could have no further significance and one universal ritual was adopted (Trimingham 1965: 153).” The Mahdi demanded allegiance to him only, abolished the visiting of tombs of walis, as well as the hajj pilgrimage. O'Fahey argues that “During the crisis of the Mahdist revolution and state (1881-98), many, perhaps the majority of, Sudanese Muslims ‘suspended' one set of beliefs, practices, and allegiances—their Sufi identity—for another, a belief in the Mahdi. The excitement of the Mahdiyya being dashed to the ground by Kitchener and his war machine, they quietly reverted to being as before, although they could never quite be the same as before” (1999: 267). independent legal reasoning) as precisely what was needed to reform an Islam that was, in their minds, woefully stuck in the past into a force compatible with modernity (Hourani 1983: 134; Skovgaard-Peterson 1997: 65-68). Yet before exploring the British engagement with the salafi, it will be helpful to explore the mechanisms through which the British tried to reform Sudanese Islam and their reasons for preferring the Islam of the courts and al-Azhar over that of the Sufi and messianic orders. The tomb of the Mahdi was a major pilgrimage site in the Sudan, as the Mahdi, like other founders of tariqas, was revered in a manner similar to a wali. Kitchener's brutal disregard for the cult that surrounded the Mahdi can be read as the inaugurating step in a 16-year campaign to stamp out Mahdism and encourage a new type of Sunni orthodoxy. The program used many different tactics, from physically crushing the active supporters of the Mahdi, neo-Mahdis, or other suspect Sufi groups (Ibrahim 1979; Warburg 1971: 100-106), to trying to install Islamic institutions that the British felt represented a “truer” and, not coincidentally, more governable form of Islam (Warburg 1971: 95-106, 129-133; Voll 1971). In addition to destroying the tomb of the Mahdi, the British banned the Mahdist outfit, the patched jibba (a sign of ascetic poverty), and sent those whom it caught wearing them into work gangs. Further, they disallowed Mahdist prayer meetings and public recitations from the ratib, the Mahdist prayer book (Daly 1986: 121). In this memorandum Kitchener calls for respect of the “Mahommedan religion” but then instructs his subordinates to suppress the fakis and ban the reconstruction of damaged saints' tombs and places of Sufi worship, which were the heart of Sudanese Islam. Kitchener instead advocates the establishment of a religious center in the soon to be rebuilt capital of the Turco-Egyptian period, Khartoum. An Islam whose seats of authority and learning were spread out through the villages and towns, and whose teachers were individual sheikhs of Sufi orders, was to be replaced, in the British ideal, by one central authority, one official seat of learning, in the capital, under the watchful gaze (and indirect administration) of the British authorities. In an interesting reversal of the common secularization thesis,32 wherein secular government is supposed to encourage the privatization of religion, Kitchener argues that it is “private” religious institutions that pose the deepest threat to the Sudan. Private religious institutions were not only difficult for the state to monitor, but also represented a “fanatical” system of belief which, in the British estimation, the Arabs were naturally prone to if untethered from the discipline of ordered prayer at the mosque under the leadership of centrally appointed imam. One British official wrote about the establishment of a council of religious scholars, which we will discuss below, “The Arab Population is inclined to be fanatical; and to enable the Government to keep itself informed of the religious feelings of the people, a consultory board of Ulema (learned men) has been established at Omdurman” (Gleichen 1905: 11). It is important to note that this body not only observed religious matters, but also, by giving a religious stamp to British persecutions of Sufi and messianic orders, aided in directly reforming Sudanese Islam. Quite the opposite of what we might expect from a government that wanted to make the transition from the theocracy of the Mahdiya to a secular republic, the British administration became actively involved in a sort of “indirect rule” of religion. By examining this form of indirect islah (Islamic reform), we will come to an understanding that for secular government to exist only a certain type of religion is possible along side it.33 Though secularism is often defined as the privatization of religion, in the Sudanese case we find that removing religion from law and government was less a relegation of religion to the private sphere than a formation of a new religious public, one that was more compatible with secular British ethics. Given the chaotic nature of the new occupation, it is surprising to note how many of Kitchener's early requirements for British religious policy were actually implemented when Wingate took over his position as Governor-General of the Sudan in 1899. The administration established three main institutions to implement their policy: a council of ‘ulema, a system of shari'a courts, and a qadi (or, “judge,” in this case in Islamic law) training course at the newly established Gordon College in Khartoum. The British government also built mosques, paid for their staff, financed Islamic primary schools to teach the Qur'an, and also paid for the hajj, which had been outlawed by the Mahdi (Daly 1986: 123; Warburg 1971: 88). The Cairene Islam of al-Azhar appealed to the British for many reasons. First and foremost, it represented a form of Islam where the leadership was based upon scholastic qualifications. A person could only become a leader through a lengthy course of university learning. The British, who misunderstood Sufism as a tradition with no clear order in which a man became a leader simply by the fact of his charisma, felt more confident that someone who had gone through scholastic training would be amenable to the principles of rational state and civil society that the they were trying to instill. Thus, Azhar Islam, that had such a clear path to positions of status, would be much more easy to administer than the decentralized system of rule that characterized Sufi Islam in the Sudan. Like the European university degree, the al-Azhar diploma gave a single measure of status. The British hoped that no longer would they have to deal with dangerous competing claims to “Islamic truth,” but rather could establish a unified body, made up of Azhar graduates, that could enforce the distinction they wanted to uphold between orthodoxy and heterodoxy. none heterodox (Knysh 1999:52). The desire to create these categories in Sudan forced the British to set up such a council. In addition to the council of ‘ulema, the other major mechanism the British established for spreading “orthodox” Islam was the courts. The British legal secretary, Bonham Carter, appointed a Grand Qadi and a Grand Mufti (or, “jurisconsult”) to administer, under proper supervision of course, the system of courts. While the British did allow customary law to rule in the more rural areas, shari'a courts, mostly with imported Egyptian judges, sprung up in every major city and town (Warburg 1971: 124-136). While the British were in control of all criminal and commercial law, they ceded jurisdiction over personal status law (marriage, custody, inheritance and religious foundations) to these courts. It is crucial not to fall into the trap here of thinking that simply because the British created a space for shari'a law they had removed themselves from involvement in matters of religion as it affected personal status. The arm of the British state extended well into this “religious sphere” as well. Wingate and the legal secretary were in charge of appointing all judges and could over-rule any decisions made by the shari'a courts. Further, as we will see below, the British officials were in fact very much concerned over questions of ijtihad and based administrative decisions on their own understanding and interpretation of the shari'a. Finally, in addition to establishing these institutions, the British engaged in a lengthy campaign of mosque building. On September 17, 1900, the acting Governor-General (replacing Wingate who was on summer leave), wrote to the Khedive in Egypt concerning the celebration of the laying of the foundation stone of the Khartoum Mosque. Khartoum, which had been more or less abandoned and destroyed during the Mahdist uprising, was to be rebuilt as the capital of the Anglo-Egyptian Sudan and the British wanted to show in their capital that they were sensitive to Islam. The acting Governor-General gathered together the Grand Qadi of the Sudan as well as the Grand Mufti and all the lesser qadis from the cities and towns. The mosque was dedicated to the Khedive. The acting Governor-General wrote to the Khedive (the nominal representative of the Ottoman Sultan in Egypt, now dislocated by the British occupation), “Alms were distributed to thousands of the poor people, who all prayed for the prolongation of your Highness's life, and in honour of the day all Offices of the Government are closed.”40 In addition to attempting to ground the Sudanese back under the spiritual leadership of the Khedive, from whom they had revolted only 19 years prior, the British tried to supplant the influence of the Sufi zawiyas [places of Sufi worship] though the reconstruction of the quintessential structure of what they understood to be orthodox Islam, the mosque. It is important to note that it is not simply any type of orthodoxy that the British aimed to establish, but that the British were concerned that a particular interpretation of Islam was encouraged in the Sudan. The British were concerned that Islamic scholars in the Sudan were taught “flexible” interpretations on their religious texts that they felt would help them meet the challenges of the modern age. It is crucial to note that the British did not simply choose from any type of Azhar scholar, but rather were particularly interested in those who subscribed to the modernist ideas of the great Muslim reformer, and Grand Mufti of Egypt, Muhamad ‘Abdu. Throughout the early years of the Condominium, ‘Abdu advised the legal secretary on appointments to the shari'a courts, and even visited the Sudan on official government business in 1905 (Voll 1971: 214; Warburg: 131). Since it was quite difficult to effect change in an old established bureaucracy such as that of Cairo, the Sudan was one of the first places where many of ‘Abdu's proposed reforms were played out. In many senses Cromer was a patron of ‘Abdu. He enjoyed ‘Abdu's thought because he believed that it reformed Islam to fulfill the very duties of the modern world that the British were trying to instill. ‘Abdu argued for, “a systematic comparison of all four [schools of legal thought], and even the doctrines of independent jurists who accepted none of them, with a view to producing a synthesis which would combine the good points of all.” ‘Abdu called for the modernization of Islamic law, in which no single school of jurisprudence would be slavishly adhered to, but rather all schools of thought and even new opinion could be combined to meet modern challenges. orthodoxy that we discussed above which relies on a certain discursive dynamism, rather than a continuity was precisely the type of orthodoxy that the British were trying to establish. ‘Abdu and his salafi movement were directly opposed to those who said the gate of ijtihad was closed, and were in favor of creating a Islamic order in Egypt and Sudan based on a real engagement with the requirements of the European modernity (Skovagaard-Peterson 1997: 65-8). From Cromer's letter, we clearly see the manner in which British officials involved themselves in attempting to reform every aspect of religious life in the Sudan. For Cromer, it was not enough that the British should do away with popular Islam, but he also required that the orthodox Islam that he helped to impose should subscribe to his view of ijtihad. The irony of it all was that in the last year of his lengthy Eastern career, the stern and forceful advocate of secular modernity had truly gone native. Instead of leaving the religious sphere to religious scholars, Cromer, and the rest of the British administration in the Sudan jumped into the debate themselves, adding to their lengthy duties as British administrators the role of the ‘alim as well. On January 4, 1899, shortly after the conquest of the Sudan, Lord Cromer gave a speech to the “sheikhs and notables” in the former mahdist capital, Omdurman. He assured his listeners that, “Her majesty the Queen and her Christian subjects are devotedly attached to their religion, but they also know how to respect the religion of others. The Queen rules over a larger number of Moslem subjects than any Sovereign in the world. They live contentedly under her Majesty's beneficent rule. Their religious customs are strictly respected. You may feel sure that the same principle will be adopted in the Soudan. There will be no interference whatever in your religion.”43 Indeed, at first glance this might seem to be the case. For example, the British heavily (though not completely) restricted Christian missionaries from setting up offices and schools in the Muslim parts of the country and allowed for the establishment of Islamic law courts to adjudicate personal status matters (Warburg 1971: 108-118). Yet such measures are by no means evidence of a lack of concern with religion. Rather, the Sudanese case clearly shows us that not only were the British actively involved in choosing who would govern the sphere that they were ceding to Islam, but, even more significantly, by drawing the boundaries between what was the proper domain of religion and what belonged to the State, the British necessarily passed judgment on what kind of Islam could exist under their rule. important to note here that the British establishment of a secular state necessitates a type of religious reform regardless of whether or not it includes an active component of consolidation of orthodoxy like we saw in the foundation of the council of ‘ulama. The definition of Shari'a as family law and of criminal and commercial matters as “secular” concern only radically reforms the potential for religion as a comprehensive ethic in the life of a believer. the North would have occasioned, but by actively encouraging the establishment of a certain trend within Islam. The British advance into the Sudan, as we have already noted, was to bring a certain kind of modern secular form of government to theocratic Sudan. But we must be careful to recognize that despite the secularizing project, there was at every level a very real engagement with religion. In the early years of their occupation of the Sudan, as part of their larger project of secularizing the state, the British attempted to redraw the boundaries of local religious communities and reshape Islam in the Sudan. The Religion and Culture Web Forum comes from the Martin Marty Center at the University of Chicago Divinity School. Persons seeking to copy or use this material must obtain permission from the Divinity School. 1025 East 58th Street, Chicago, IL 60637. (773) 702-8230. 1 My sincere thanks to Prof. M.W Daly of Kettering University, Ms. Jane Hogan of the Sudan Archive Durham (UK), and the staff of the Public Records Office in London for their assistance with this project in the early stages of its formation. My gratitude also goes out to Courtney Handman and Alejandro Paz (and all of the members "The Interpretation of Boundaries: Text and the Construction of Local Religious Communities" panel at the Society for the Anthropology of Religion Conference April 2003), without whose encouragement this paper would never have been written. I would also like to thank Prof. Wendy Doniger and fellow students (particularly Scott Richard) from the "Problems in the History of Religions" seminar for their comments on an early draft of this paper. Next, I would like to thank my teacher and adviser Saba Mahmood for her careful reading of this essay and her comments which helped me to think about the material in new ways. Finally, my gratitude is extended to the members of my History of Religions Colloquium (Prof. Bruce Lincoln, and Profs. Doniger and Mahmood) for their insightful questions and comments about this essay. 2 Please note that, due to a problem with fonts, as well as a desire to render this paper more readable for non-specialists, throughout this essay Arabic terms are not correctly transliterated. Instead, I have reproduced their nearest equivalents using the basic characters of the English alphabet. requirement now being loyalty to the Crown. The reasons for the shift are many, but mostly it is due to the fact that when the Ottomans joined the Central Powers in World War One, the Ottoman Sultan Mehmed V called for unity of all Muslims against the Allies. The British felt that they could not afford uprisings amongst Muslim populations in the colonies and thus made allies with anyone whom they thought might have influence or power over the general public (Holt and Daly 2000: 111). 4 On arriving in Khartoum, Kitchener raised both the British and Egyptian flags over the destroyed former palace of the Turco-Egyptian leadership. With that, he inaugurated a 58-year era of "joint rule," known as the "Condominium Period," where, at least in theory, the British and the Egyptians would share dominion over the Sudan. Yet, in practice, since the British also occupied and ruled Egypt, the British actually represented both parties in the joint leadership. As Egyptian nationalists would soon recognize, the only "privilege" that the Egyptians got out of the "Condominium Agreement" was that they had to subsidize the Sudanese economy out of their coffers. British officials made all the administrative decisions in the Sudan, and reaped all the political benefits (Daly 1986:1-39). 6 Sunni eschatology states that near the end of time God will send a mahdi, or chosen one, to earth to lead the entire Muslim community in installing justice and destroying tyranny. Following this mahdi will come al-dajjal, or the anti-Christ, and then the second coming of the Muslim prophet Isa (or, Jesus). Many Sudanese saw the British as an embodiment of al-dajjal. Therefore, in the years following the occupation many Sudanese arose proclaiming to be the prophet Isa, thus fulfilling the eschatological plan. (Ibrahim 1979). Many purported mahdis have appeared throughout Islamic history, mostly in North Africa and Yemen. 7 I am certainly not the first person to recognize this phenomenon. Voll (1971) and Warburg (1971: 95-106) have also written about the British interest in encouraging the establishment of an Islamic scholarly class on an Egyptian model and the simultaneous attack on the Sufi orders which characterized the early years of the Anglo-Egyptian occupation. My paper is an attempt to return to some of the material that they discuss, while adding new data that I uncovered in my own search through the archives, in order to ask some broader questions about the implications of the British interest in religious reform on our understanding of the colonial project and its relationship to the secular principles it claims to champion. 8 See (Gleichen 1905) for a fascinating account from a member of the administration of the British program for the "modernization" of the Sudan in the fields of commerce, military, government and law. 9 See Holt's introduction to Wingate 1968  for details. 10 PRO 30/57/14. NB: I will leave letters, speeches, journals and other primary source materials in their original form, without noting or changing spelling or grammatical errors or alternate Arabic transliterations. 11 See (Lata Mani 1998: 96) where she makes a similar point about British missionaries reacting to the Hindu practice of Sati. 12 Quoted in (Steele 1998:23). 13 This becomes quite obvious when parliamentary political parties are formed in Sudan and the powerful ones that emerge are led by ######### of Sufi tariqas, a state of affairs which has dominated the Sudanese political scene until the present day (Warburg 1978). 14 See below for an outline of the Turco-Egyptian reforms of Islam and the way in which the British mimicked many of them. 15 See (Warburg 1978: 22-79) for an interesting discussion about the formation of political parties and representative bodies in the Sudan. 16 (SAD 283/1/30and35). It is interesting to note that Wingate also advised that the students be trained in anthropology. This, he remarked, was important for those administrators who would be dealing with the south, which at this point was not pacified and was difficult to govern without a clear knowledge of the culture and leadership structures of the tribes. It is also interesting to note that in this same document, Wingate argues for the utility of anthropology to the colonial project. He writes of the African South of the Sudan “You see, it is all more or less unknown, and a great deal of light can be thrown on these questions by the study of anthropology, so I was very anxious to get that subject taken up [in the universities]” (283/1/34). He writes of the anthropologist of Sudan, C.G Seligman, “For the next years we have secured the services of Professor Seligman, who is a very well known anthropologist. He is coming out and means to do all he can to help us…I expect that the knowledge he obtains will all be put into syllabus form, and will form a sort of text book for the instruction of our selected young administrators at Oxford and Cambridge” (SAD 283/1/34-5). Thus the pursuit of anthropological knowledge in the Sudan had a direct administrative function. 17 It should be noted that the British notion of a split between the Sufi orders and legal and scriptural Islam was somewhat of a fiction. Though certain practices of Sufism were deemed reprehensible by Salafi reformers and traditionalists alike, most of these scholars, including the great reformer Muhammad ‘Abdu himself, were active in Sufi movements (De Jong 1999: 310). This was especially true in Sudan where, as Trimingham noted, practically all Muslims belonged to a Sufi order of some sort (Trimngham 1965: 205). Further, there is no contradiction between Sufism and a Shari'a-based Islam, as for all Sufis Shari'a is the “starting point of the Sufi path” (Trimingham 207). pluralism and complexity characteristic of the religious life of the Muslim community, leaving aside significant and sometimes critical ‘nuances'” (Knysh 1999: 62). Yet the British found this distinction productive. The British hoped that by marginalizing Sufi Islam and establishing new religious institutions they could create a central orthodoxy in a pluralistic religious scene where there was none. 18 Despite Trimingham's missionary bias he remains the only comprehensive source for the study of Islam under the Condominium. His book is extremely learned and reveals a deep knowledge of not only of the Islamic practices he observed, but also the Arabic contemporary literatures and historical sources concerning Islam in Sudan. While, like any text, I will subject his work to a critical reading, I join the group of scholars from John Voll to Janice Boddy who rely on his observations to paint a picture of Islam in this period. 20 It is interesting to note that the Muhammad ‘Ali tried to establish such a unified Sufi umbrella organization to regulate the practices of the orders in 1812, under a Shaykh al-Mashayikh (Grand Sheikh) (Skovgaard-Peterson: 43). De Jong notes that this office was used by the late 19th century Egyptian reformers to make great modifications in the permissibility of various Sufi practices which they saw as abhorrent (de Jong 1999: 310). On conquering Sudan Muhammad ‘Ali extended the rule of this Grand Shiekh to the Sudan, but Trimingham notes that his rule in Sudan was formal only and that in reality he had little power (Trimingham: 200-1). 21 Warburg also discusses the writings of Browne (1971: 99). 24 Warburg also discusses the writings of Butler (1971: 99). 25 Butler spent most of his time in military intelligence in Khartoum but spent part of his early years as a military officer in the Camel Corps in Kordofan (Warburg 1971: 198). 27 It is interesting to compare these accounts with how Browne characterizes the Islamic leaders appointed by the state. In his journal from October 12, 1911, he describes the representative of orthodox Islam in a very different light: “I've been in the intelligence department now about a month and have met quite an interesting lot of people. 1) The grand Mufti, by name [sic] Sheikh al Tayyib Hashimi—a most pleasant man—middle age, well [illegible word] + I believe broad minded Arab. He is [illegible word] quite loyal to the government + of assistance to us. He is the brother of 2) Sheikh Abdul Qasim, cadi of Wad Medani—a great friend of mine…a broad minded pleasant man” (SAD 400/10/3). 28 “Faki” is a Sudanese colloquial term derived (in meaning and spelling) from the standard Arabic word faqih (“jurist,” in Islamic law). The term refers to a man of religion who may play the role of teacher in an Islamic school, a Sufi official, or a religious healer (Warburg 1978: 217). NB: For the purposes of this paper I will use the English plural, an unitalicized “s,” instead of the Arabic plural for ease of English reading. Thus, for example, the plural of faki, fuqara, becomes fakis and the plural of tariqa, turuq, becomes tariqas. 29 Hanafi law was the law of the Ottoman Empire which they brought to many of their colonies. Maliki law is the Islamic law shared by most Islamic countries in Sub-Saharan Africa (Fluehr-Lobban 1987:29-31). 32 See (Van der Veer 2001: 14) and (Mcleod 2000: 3) for a explanation and critique of this thesis. 33 In his insightful article “Reconfigurations of Law and Ethics in Colonial Egypt,” Talal Asad tries to account for the changes in the concept of law, religious authority, and ethics in colonial Egypt that opened up a space for Egyptians to conceptualize the idea of secularism. He argues that a certain type of transmogrification of religion was necessary in order to “clear a space within the state for modern ethics” (Asad 2003: 255). British reforms of religion in Sudan were equally to allow for the emergence of a new secular ethic. 35 There were perhaps other reasons why the British imported Egyptians to be their underlings. After listing all of the deficiencies in the Egyptian character (among them a lack of curiosity and initiative, a lack of rational facility, fatalism and submissiveness), Cromer comments on the advantages of these deficiencies for the British. Cromer argues that while the radical difference in character between the “Oriental” and the European leads to a lack of ability of the two races to understand one another, “Nevertheless there is one saving clause, which serves in some respect as a bond of union between the two races. Once explain to an Egyptian what he is to do, and he will assimilate the idea rapidly. He is a good imitator, and will make a faithful, even sometimes a too servile copy of the work of his European teacher. His civilization may be a veneer, yet he will readily adopt the letter, the catchwords and jargon, if not the spirit of the European administrative systems. His movements will, it is true, be not unfrequently, those of an automaton , but a skillfully constructed automaton may do a great deal of useful work….No necessity will, therefore, arise for employing any large number of English subordinates. On the other hand, inasmuch as the Egyptian has but little power of initiation, and often does not thoroughly grasp the reasons why his teachers have impelled him in certain directions, a relapse will ensue if English supervision is to be withdrawn” (1916: 155, v.2). 37 The name of General Charles George Gordon comes up often in histories of 19th century Sudan as well as popular literature on the period (for example in the famous book by A.E.W. Mason entitled The Four Feathers, which has been made into a film five times, most recently in 2002). Not surprisingly, the British named their first academic institution in Sudan after General Gordon, the “Gordon College” which I mention here. Due to the importance of Gordon in the history of Sudan as well as the British historical imaginary, I offer here a brief outline of the role he played in the backdrop to the situation I discuss in this paper. When Lord Kitchener conquered the Sudan in 1898, he claimed to have come to restore Egyptian control over the Sudan. Egyptian rule in the Sudan had a 60-year history. In the mid-19th century, British influence was very strong in Egypt and, with the British government's encouragement, the ruler of Egypt (the Khedive Ismail) appointed a British man by the name of Charles George Gordon to be Governor-General of the Sudan. Gordon took his governor-generalship as much more than a mere bureaucratic position. Spurred on by the British Anti-Slavery Society, Gordon engaged in a vigorous campaign of repressing the extensive Sudanese slave trade. The slave trade in the Sudan was an ancient network run by northern Arab tribes who captured black Africans in the South of the Sudan and enslaved them in agricultural work in the North, as well as sending many of them to Arabia. The slave trade had become essential to the economic well being of these northern tribes and thus Gordon's vocal opposition, though it didn't entirely stamp the practice out, was seen as a major irritant. Gordon's repression of the slave trade, which he often (and probably not wisely) justified under the banner of his Christianity, along with the declining economic fortunes of the Sudan in this period, led the indigenous northern leadership to argue that the Ottoman state was being run by Christians who did not have the best interests of the Sudan in mind. This declining situation came to a head in 1881, when a man by the name of Mohammad Ahmed declared himself the Mahdi, and led a successful revolt to overthrow the Turco-Egyptian rule over the Sudan. This revolt culminated in early 1885 with the fall of Khartoum. During this battle, General Gordon, who had left Sudan for roughly five years and returned as governor of Khartoum shortly before its fall, was killed. There was a great sense of guilt on the part of the British following Gordon's death over the circumstances in which it occurred. Gordon had called for reinforcement from Great Britain, as he knew he would be no match for the Mahdi's forces. After much debate in Parliament, the British government finally sent out a fleet of ships to the besieged Gordon, which arrived down the Nile only a few days too late, learning at port that Gordon was already dead. The horror of Gordon's death would haunt the British for a long time to come, and many have speculated that the conquest of the Sudan in 1898 was undertaken to a great degree to avenge Gordon's death. The last line of Wingate's Mahdism and the Egyptian Sudan spells out the interesting justification for the conquering of Sudan, “That a new and better Sudan will be raised up over the ashes of Gordon, and all those brave officers and men who have perished in the loyal performance of their duty, is the fervent hope of every well wisher for the prosperity of Egypt” (491). (Note also here that Wingate sees the British conquer of Sudan as returning Sudan to its rightful owners: the Egyptians). (NB: The above biography of Gordon was gathered in piecemeal from all of the histories of Sudan I mention in my bibliography as well as from helpful email exchanges with Prof. MW Daly; for a more complete history of Gordon see: Gordon and the Sudan: Prologue to the Mahdiyya by Alice Moore-Harell (London: Frank Cass) 2001. Foreign Missions of the United Presbyterian Church of North America, whose group was doing missionary work amongst the animists in the south of the Sudan, wrote Wingate on the 20th of May 1912, of “and extremely widespread and deep desire of the Christian public that the memorial to Gordon's name should bear a closer relation to his religious practices and convictions” (SAD 181/2/191). 39 The curriculum of this college is deserving of further study, but all documents associated with it are in the National Archives in Khartoum, which I have not been able to access yet. 40 “Celebration on the Laying of the Foundation Stone of the Khartoum Mosque,” in The Sudan Gazette, #15, pgs. 1-2. 41 Quoted in, Hourani 1983: 152. My emphasis. 44 Van der Veer 2001: 14. Van der Veer is using Jose Casanova's definition as found in Public Religions in the Modern World (Chicago: University of Chicago Press) 1994. 45 Talal Asad makes a related point about the way in which secular states make religion public, by focusing on the creation of the idea of human rights: “the individual's ability to believe what he or she chooses is translated onto a legal right to express one's beliefs freely and to exercise one's religion without hinderance—so ‘religion' is brought back into the public domain” (2003: 205). Asad, Talal. “The Idea of an Anthropology of Islam,” Occasional Papers Series, Washington, D.C.: Georgetown University Center for Contemporary Arab Studies. 1986. __________. Formations of the Secular: Christianity, Islam, and Modernity (Stanford: Stanford University Press) 2003. Brown, Peter. The Cult of the Saints (Chicago: University of Chicago Press) 1981. Boddy, Janice. “Ardent Imperialism: Islam, Christianity, and ‘Secular' Colonization in the Anglo-Egyptian Sudan,” unpublished paper delivered at the Society for the Anthropology of Religion Annual Meeting, 2003. Cromer, Evelyn Baring (Earl of). Modern Egypt (New York: Macmillan) 1916. Daly, M.W. Empire on the Nile: The Anglo Egyptian Sudan, 1898-1934 (Cambridge: Cambridge University Press) 1986. De Jong, Fredrick. “Opposition to Sufism in Twentieth Century Egypt: A Preliminary Survey” in Islamic Mysticism Contested: Thirteen Centuries of Controversies and Polemics, edited by Fredrick de Jong and Bernd Radtke (Leiden: Brill) 1999. Fluehr-Lobban, Carolyn. Islamic Law and Society in the Sudan (London: Frank Cass) 1987. Gardet, L. “Dhikr,” in The Encyclopedia of Islam, CD-Rom version, v.1.1 (Leiden: Brill) 2001. Gleichen, Lieutenant-Colonel Count, ed. The Anglo-Egyptian Sudan: A Compendium Prepared by Officers of the Sudan Government, Volumes 1-2 (London: Harrison and Sons) 1905. Holt, P.M. The Mahdist State in the Sudan, 1881-1898 (Oxford: Clarendon Press) 1958. _________. Holy Families and Islam in the Sudan, Princeton Near East Papers, Number 4 (Princeton: Princeton University Press) 1967. Holt, P.M. and M.W. Daly. A History of the Sudan: From the Coming of Islam to the Present Day, Fifth Edition (New York: Longman) 2000. Hourani, Albert. Arabic Thought in the Liberal Age, 1798-1939 (Cambridge: Cambridge University Press) 1983. Ibrahim, Hassan Ahmed. “Mahdist Risings against the Condominium Government in the Sudan, 1900-1927,” The International Journal of African Historical Studies, 12:3, 1979. Knysh, Alexander, “‘Orthodoxy' and ‘Heresy' in Medieval Islam: An Essay in Reassessment. The Muslim World LXXXIII (1): 48-67. 1993. Mani, Lata. Contentious Traditions: The Debate on Sati in Colonial India (Berkeley: University of California Press) 1998. Mcleod, Hugh. Secularisation in Western Europe, 1848-1914 (London: St. Martin's Press) 2000. Neufeld, Charles. A Prisoner of the Khaleefa: Twelve Years Captivity at Omdurman (New York: G.P Putnam's Sons) 1899. O'Fahey, R. Sean. “Sufism in Suspense: The Sudanese Mahdi and the Sufis,” in Islamic Mysticism Contested: Thirteen Centuries of Controversies and Polemics, edited by Fredrick de Jong and Bernd Radtke (Leiden: Brill) 1999. Skovgaard-Peterson, Jakob. Defining Islam for the Egyptian State: Muftis and Fatwas of the Dar al-Ifta (Leiden: Brill) 1997. Slatin, Rudolf. Fire and Sword in the Sudan: A Personal Narrative of Fighting and Serving the Dervishes, 1879-1895 (London: Edward Arnold) 1922 . Steele, David. “Lord Salisbury, the ‘False Religion' of Islam, and the Reconquest of the Sudan, in Sudan: The Reconquest Reappraised, edited by Edward M. Spiers (London: Frank Cass) 1998. 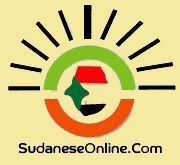 The Sudan Gazette. “Celebration on the Laying of the Foundation Stone of the Khartoum Mosque,” #15, pp. 1-2, September 1, 1900. Trimingham, J. Spencer. Islam in the Sudan (New York: Barnes and Noble) 1965 . Turner, Brian S. Weber and Islam: A Critical Study (London: Routledge and Kegen Paul) 1978. Van der Veer, Peter. Imperial Encounters: Religion and Modernity in India and Britain (Princeton: Princeton University Press) 2001. Voll, John O. “The British, the ‘Ulama,' and Popular Islam in the Early Anglo-Egyptian Sudan,” International Journal of Middle East Studies, 2:3, July 1971. Warburg, Gabriel. The Sudan Under Wingate: Administration in the Anglo-Egyptian Sudan, 1899-1916 (London: Frank Cass andCo) 1971. ______________. Islam, Nationalism, and Communism in a Traditional Society: The Case of Sudan (London: Frank Cass) 1978. Wingate, F.R. Mahdism and the Egyptian Sudan (Frank Cass and Co.: London) 1968 . __________. Ten Years Captivity in the Mahdi's Camp: 1882-1892—From the Original Manuscripts Of Father Joseph Ohrwalder (London: Sampson Low, Marston and Company) 1892. __________.“An Ordinance for the Regulating the Sudan Mohammedan Law Courts” Sudan Gazette, No. 35, May 1902. FO= Foreign Office Archives. British Government Archives, Public Records Office (PRO), London. PRO= Public Records Office Archives. British Government Archives, Public Records Office (PRO), London. SAD= Sudan Archive, Durham. University of Durham Library. WO= War Office Archives. British Government Archives, Public Records Office (PRO), London.